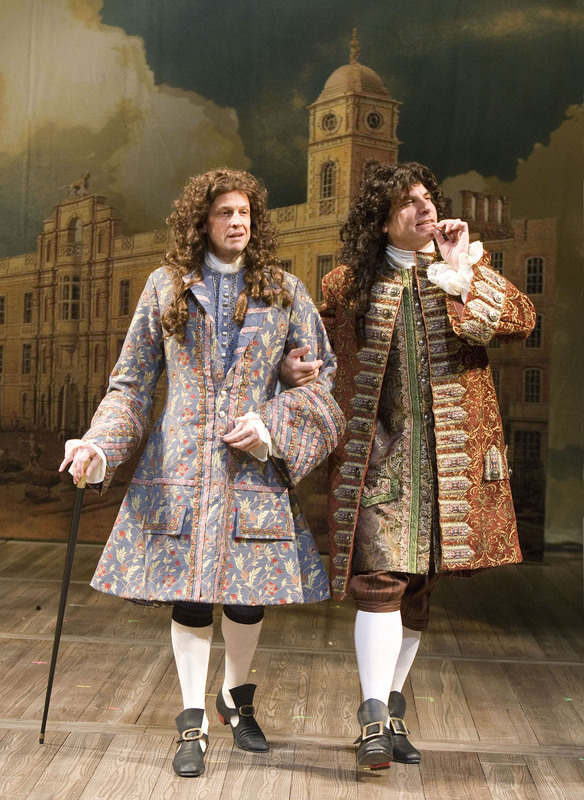 Marco Barricelli as "Loveless" and Caralyn Kozlowski as “Amanda” in The Old Globe’s production of Restoration Comedy by Amy Freed, directed by John Rando, running in the Old Globe Theatre March 3 – April 8, 2007. Photo by J.T. MacMillan. 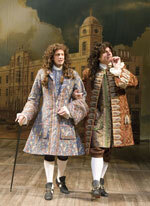 (L-R) John Keating, Marco Barricelli, Danny Scheie, Caralyn Kozlowski, and Kimberly Scott in The Old Globe’s production of Restoration Comedy, by Amy Freed, directed by John Rando, playing in the Old Globe Theatre March 8 through April 8; photo by Craig Schwartz. Christa Scott-Reed as “Berinthia” and Marco Barricelli as “Loveless” in The Old Globe’s production of Restoration Comedy, by Amy Freed, directed by John Rando, playing in the Old Globe Theatre March 8 through April 8; photo by Craig Schwartz.